Longtime friends of the seminary will fondly recall that Dr. Priest served on the faculty of DBTS from 1988 until his retirement in 2010. While Dr. Priest taught numerous courses in homiletics and Bible exposition, the focus of his teaching and writing ministry was in the field of church history. 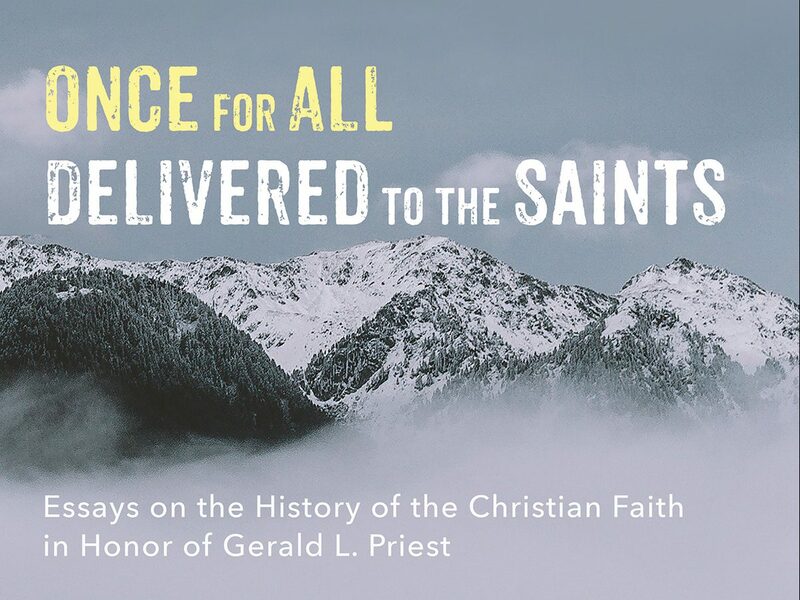 A number of years ago, some of Dr. Priest’s friends, former students, and colleagues decided that it would be appropriate to put together a book in his honor. The book would include a biographical sketch of Dr. Priest’s life and essays centered around areas of church history that Dr. Priest was especially interested in during his years at DBTS. The publication of this book took longer than any of us anticipated, but in recent weeks it has finally come to fruition. 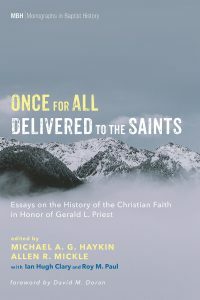 And so we are pleased to announce the publication of Once for All Delivered to the Saints: Essays on the History of the Christian Faith in Honor of Gerald L. Priest (Pickwick, 2019). He was an outstanding prof!